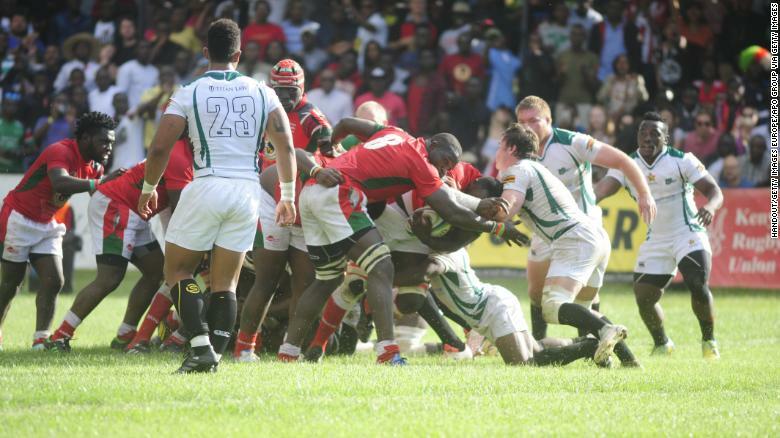 (CNN) Days before it has even kicked off, an otherwise run-of-the-mill international rugby match between Zimbabwe and Tunisia is embroiled in controversy. 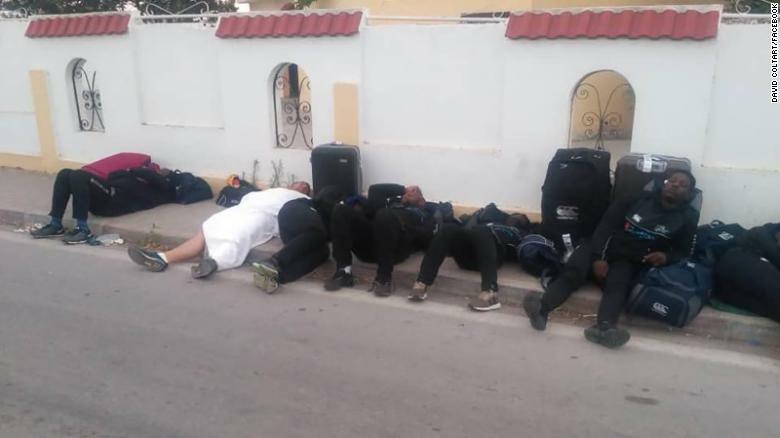 Photos of the Zimbabwe team sleeping rough in the Tunisian city of Beja emerged on Tuesday sparking outrage on social media. The players had taken to the streets in protest against the standard of hotel accommodation provided by their opponents ahead of Saturday’s Gold Cup clash, a qualifying game for next year’s World Cup. 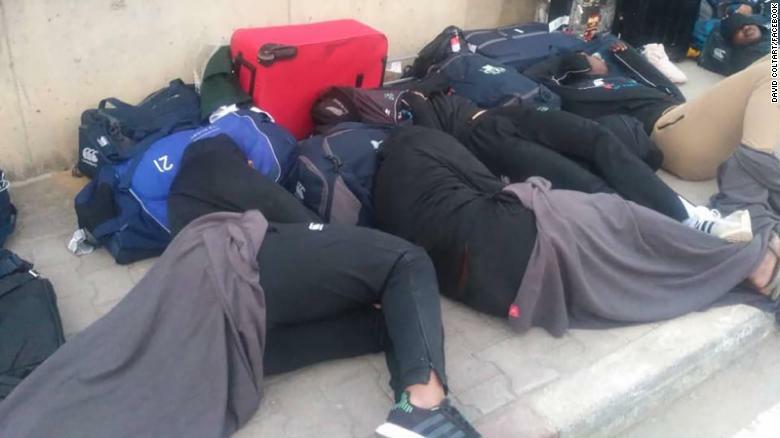 Tournament organizer Rugby Africa promptly expressed its “sincere apologies” on behalf of the Tunisia Federation for what it called an “unfortunate situation,” saying the players had been relocated to new lodgings for the following night. “Tunisia is, and always will be, a country of welcome and hospitality,” it said in a statement on Wednesday. “After a lunch offered by the Tunisian Federation to its guests, an air-conditioned bus transfer was ensured for the members of the Zimbabwe delegation to the city of Béjà. “They arrived at the hotel around 20:00, checked in at reception and all the members of the delegation of Zimbabwe were entitled to a dinner. Until then no problem was reported. The two-star lodging in question, Hotel Aladino, has an average rating of 1.5 stars on TripAdvisor, with past guests writing about its “disappointing and dangerous” state and warning only to stay there if there’s no other alternative nearby. Hotel Aladino did not immediately respond to CNN’s request for comment. Upon the “intervention” of the Tunisia Federation, the players were subsequently moved to Hotel Alrawabi in Nefza, a three-star establishment around 35 kilometers away with a swimming pool and numerous positive online reviews. At this stage the Zimbabwe team “expressed their satisfaction with an apology to the chairman of the organizational committee,” according to the Tunisian Union. But it wasn’t only the state of their accommodation that irked Zimbabwe. There had been earlier disputes about the squad’s treatment at the Tunis-Carthage International airport, with Zimbabwe’s former Minister of Sport David Coltart saying the players were delayed for six hours before they could leave the arrivals terminal. Zimbabwe captain Denford Mutamangira recorded a voice note during their wait at the airport, unsure if it was a product of “mind games” from their opponents. “We arrived in Tunisia at 11am and we are still being held up at the airport because of some visa fee and right now it’s ten to 5pm,” said Mutamangira. But, in a statement, the Tunisian Federation said Zimbabwe knew several weeks ago that the visa fees were required, blaming the team manager for the long wait. “The team manager refused to pay the visa fees to enter the Tunisian territories under the pretext that he did not have the amount, knowing full well that the Tunisian Federation had previously alerted Rugby Afrique by mail on June 8, 2018,” added a Tunisian Federation spokesperson. Zimbabwe in action against Kenya on June 30. Zimbabwe flanker Takudzwa Mandiwanza insisted the trip had been “an absolute shambles” from the start, saying the players had not been paid since another Gold Cup match against Kenya on Saturday June 30. 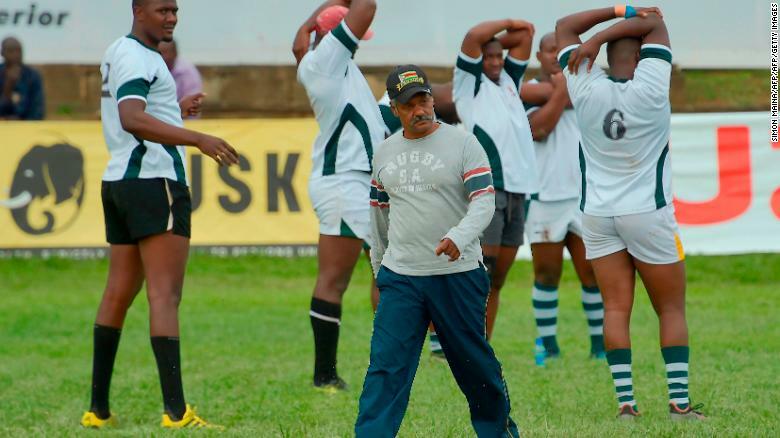 Peter de Villiers puts the Zimbabwe players through their paces. “Look, I mean honestly, [otherwise] we all would be hungry right now,” Mandiwanza lamented. “The situation right now is very disheartening and frustrating to be quite honest. “So yeah, we just need some changes to be [made] at the current moment. If there are people willing to come support us and fight our battle while we’re away, that’s more than appreciated. New Zimbabwe Rugby Union president Aaron Jani, a former Sables winger, told Harare radio station Capitalk FM that the delay in paying allowances and match fees came about because of the difficulties involved in obtaining foreign currency, insisting the money has since been deposited in the players’ accounts. “When we applied for some foreign currency for allowances for our players, the banks simply did not have the money,” claimed Jani. 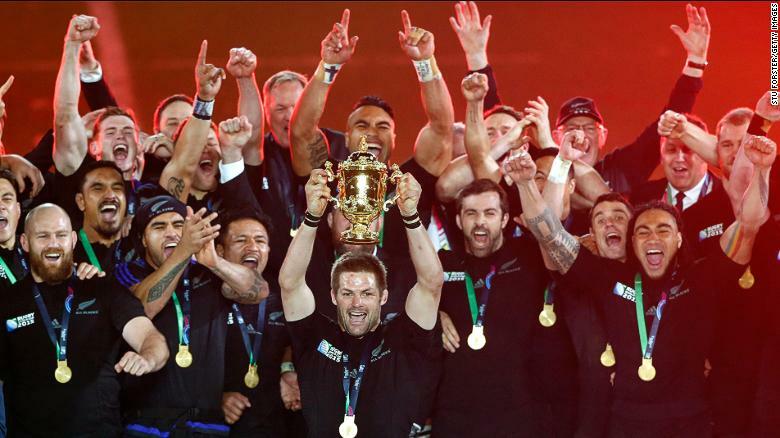 New Zealand beat Australia 34-17 to win its second straight Rugby World Cup at Twickenham Stadium, London in October 2015. Four years on, the focus will shift to Japan, where 12 stadiums throughout the country will host the tournament from September 20 to November 2. Mandiwanza and the Zimbabwe Rugby Union did not immediately respond to CNN’s request for further comment. Zimbabwe and Tunisia occupy fourth and sixth place respectively in the Gold Cup rankings, with Namibia widely expected to top the table and advance to next year’s World Cup.